Who hasn't dreamed of "being friends" with a Disney character? I've always thought that being a Disney Princess would be one of the best jobs out there! You would get to make people smile all day long all while embodying your favorite Disney character! Ignoring my incorrect body-type, I'd love to spend a day in Belle's shoes! While I love Belle's two Park costumes as well as her Christmastime attire, the reason I'd most love to be her is because she stands for what I most believe in. She is an avid reader and uses her imagination to take her to far off places but can still come back to reality. Belle stands firm on what she believes in, and she won't be bullied into doing something that's not right for her or compromises her morals. Her love and kindness extends to those that others may not notice or look at twice. Never have I doubted that she is genuinely concerned for and has a deep understanding of all around her. Somehow she accomplishes all of this with perfect hair and beautiful clothing! She wasn't born a princess, but she stepped into the crown with grace. 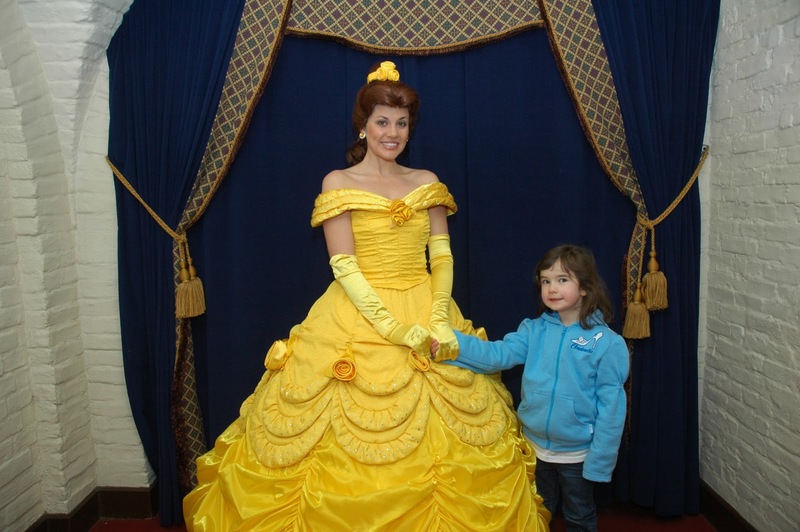 Belle is a role model for little girls and women alike. Even if I wasn't really her, I'd like to share that joy and those ideals at least for a day. On a side note: Anyone else still get nervous as an adult when you meet a character in the parks? I try to take my niece or nephew along with me for a photo or quick hello because without them, I clam up a bit and get super shy! I know it's not really that character, but something about it makes me feel like a 5 year old again. AS for meeting characters. I love it. I just ham it up and they never have a problem with an adult. I love Belle too, she is a great role model. Luckily I still can get one of my kids to go up with me So I feel better about getting that picture..
Belle is beautiful and so friendly and smart - a great princess! I completely agree with Belle being a wonderful role model. She's definitely one of my favorites.